The Shorter Book of Blessings from Catholic Book Publishing is a handy-size edition of the larger Book of Blessings that includes only the blessings that are celebrated outside Mass. It contains the New American Bible translation for all Scripture readings to ensure conformity with the Catholic liturgical Lectionary. This handy liturgical resource from Catholic Book Publishing is printed in two colors, with each blessing set in easy-to-read sense lines and carefully arranged for the celebrant. 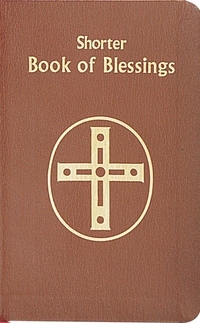 The Shorter Book of Blessings is bound in flexible brown simulated leather.